This week, Chinese hackers infiltrate U.S. newspaper networks, Twitter also gets hacked, Oreo takes advantage of the Super Bowl blackout, is Netflix’s full season release schedule the future of television…or a big mistake, will your body be the next unlimited storage device, and if you thought J.J. Abrams hit the motherlode last week for helming both Star Trek and Star Wars franchises, you ain’t heard nothin’ yet! If you pay attention to entertainment news headlines even just a little bit, then you’ve noticed the name J.J. Abrams quite often lately. Whether it’s his upcoming mega-sequel Star Trek Into Darkness, the recent announcement that after Trek he’ll hop over to Star Wars Episode VII, or various other bits that may be reported, it’s a name we see often. Now Abrams is adding to this run in the spotlight and looking to fortify his status amongst the geeks of this world. At the D.I.C.E. 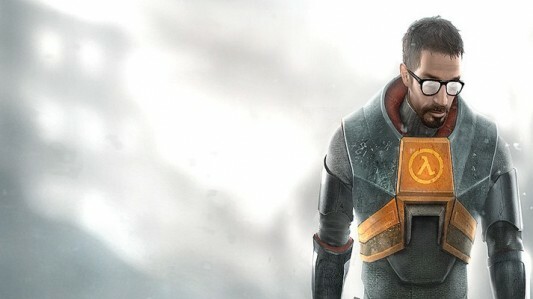 Summit for video game designers and developers in Las Vegas recently, Abrams and Valve Software co-founder and president Gabe Newell announced that they are working on movie adaptations of two massively popular Valve games, Half-Life and Portal. What rights to privacy can we expect when we choose to act anonymously/pseudonymously on the internet? Do they end at your public actions? Is it acceptable to violate the privacy of one class of user over another? Is it the purview of objective journalism to make that decision? The outing of Reddit‘s ViolentAcrez, “the Biggest Troll on the Web” by Gawker columnist Adrian Chen brings to light those questions and more this week. But first, the headlines…Microsoft names launch dates and pricing for Windows 8 & Surface RT, Apple teases the possible announcement of the iPad Mini. Saturday Night Live mocks whiny tech bloggers.